Word has it that some Christian groups are up in arms (what else is new) about “Black Christmas ,” the new remake of the 1974 horror flick . In the movie, a group of Sorority sisters move into a new house and begin getting threatening phone calls during Christmas break. Soon, the girls start disappearing, and it ain’t cuz’ they’re hiding, waiting for Santa. We think it’s rather silly to get upset about nothing more than the use of the word “Christmas” in the title of a slasher film. 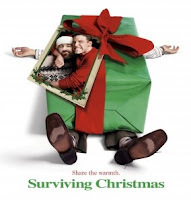 There are far more reprehensible Xmas movies that don’t contain one murdered sorority sister. Let’s take the black bow off of our package of the ten worst Xmas movies ever made! Even the concept is depressing: Ben Affleck plays Drew Latham, a narcissistic, materialistic, lonely millionaire who pays the family currently living in his childhood home to let him spend the holidays with them. The Valcos turn out to be a dysfunctional, bickering lot who don’t exactly make the holidays bright. Of course, by the end, all is merry and gay, but despite a stellar supporting cast including James Gandolfini, Catherine O’Hara and Christina Applegate, the film is as discomforting as when creepy Uncle Chester catches you under the mistletoe. Having had some success with another flying guy in a red suit, the producers of “Superman: the Movie ” turned to Saint Nick, hoping for a repeat lightning strike (even reusing the superfluous defining tag, so we wouldn’t confuse it with “Santa Claus: the Hemorrhoid Cream”). 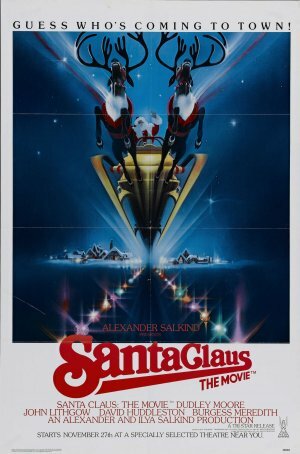 Following the “Superman” formula, the script starts with the secret origin of Santa (a serviceable but unspectacular David Huddleston), then moves into a modern adventure in which an errant elf named Patch (a grating Dudley Moore) teams up with an unscrupulous businessman (John Lithgow) to create a competing holiday, “Christmas II.” Ponderously directed by Jeannot Szwarc (of, uh, “Supergirl ”), the movie is amazingly devoid of any sense of wonder or joy, given the subject matter. The Rankin/Bass TV special “Santa Claus is Comin’ to Town ” is a far more satisfying origin tale for Herr Kringle. In this execrable Disney flick, Jonathan Taylor Thomas plays Jake, a wise-alecky college student who has trouble getting from California to New York for the holidays (he was gonna blow the whole thing off until his Dad promised him a vintage Porsche). Stuck in a Santa suit without a ticket, Thomas endures countless sitcom-level obstacles on his journey home. It’s kinda like “Ferris Bueller ” meets “Planes, Trains and Automobiles ” but with none of the humor of the former, nor heart of the latter. And Thomas (perhaps taking lessons from his “Home Improvement” dad, Tim Allen, the star of many a crappy Christmas movie) is one of the least likeable, most obnoxious leading men, uh, lads in film history. 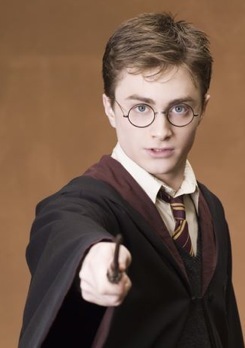 In the second (of NINE!!!!) films starring Jim Varney as the mugging, “knowwhutahmean” spouting hillbilly, Ernest P. Worrell has to help Santa Claus find a replacement (a recurring notion in some of these films that we frankly find both improbable and troubling). 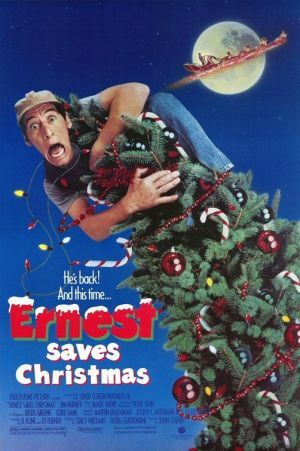 “Ernest Saves Christmas” is about as warm and inspiring as any holiday movie starring a former commercial spokesman and shot entirely in Orlando Florida can be. Tim Allen and Jamie Lee Curtis play the Luther and Nora Krank, a couple who decide to skip Christmas when their daughter Blair (Julie Gonzalo) announces she’s going to go on a Peace Corps mission instead of coming home. But when Blair changes her mind at the last minute, the traditionally traditional Kranks have to rush to make the holiday happen in a hurry. It’s an okay premise, but the film is a ham-fisted, unfunny slapstick handled with the deftness and skill of a troupe of lobotomized orangutans. It’s a schizophrenic mess that wants to mock the Styrofoam snowman trappings of a middle-American suburban Christmas while celebrating them at the same time. You know how every December, the news has stories about parents beating each other up at the local Wal-Mart to get their hands on the last super-hot toy, be it Cabbage Patch Doll, Tickle Me Elmo or a Nacho LIbre action figure (that last one was a joke)? 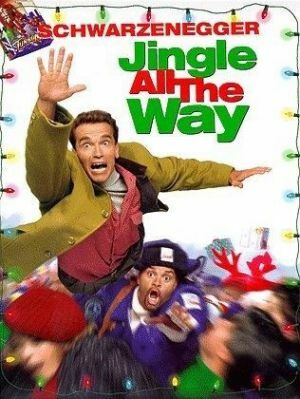 That’s the germ of the idea that begat the virus known as “Jingle All the Way.” Arnold Schwarzenegger alternately mugs and emotes through this stinker as Howard Langston, a neglectful Dad in a citywide race against an evil mailman named Myron (Sinbad!) to find the last available Turbo Man action figure on Christmas Eve. 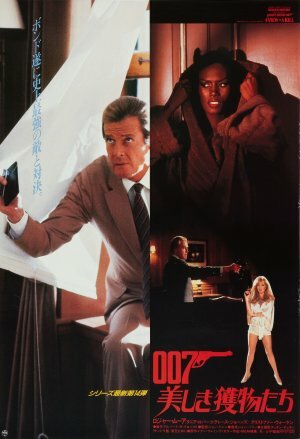 The film has all the believability of a Road Runner cartoon (a mail bomb explodes leaving a cop with nothing more than a dirty face), but with worse acting and an ending that will make you wish for a giant falling anvil to crush Ah-nuld and his annoying kid (played by the boy who would be Darth Vader, Jake Lloyd!). New York City, despite being mostly laid out in a simple grid system, can be a daunting place in which to maneuver, especially during the hectic holidays. But for the ever-precocious Kevin McCallister (Macaulay Culkin), it’s a brightly lit playground in which he can handily outwit the staff at the Plaza hotel, befriend a homeless pigeon lady, impress the head of the biggest toy store in the world and again enact kooky cartoon violence upon that inept pair of burglars, the Sticky Bandits (no longer wet, as they were in the first, almost as painful film). The contrivance that allows Kevin’s parents to again travel far without their youngest child is enough of a stretch, and we KNOW it’s not supposed to be a realistic film, but by the time Donald Trump makes his inevitable cameo, you wish he’d fire the entire cast and crew of this pile of pigeon droppings. We’re shooting fruitcake in a barrel here, but this “comedy” starring Hulk Hogan just can’t be ignored. The Hulkster (in a toupee worthy of William Shatner) plays Blake Thorne, a bodybuilding billionaire who gets konked on the head and wakes up with thinking he’s Santa Claus (see, he was wearing a Santa suit… the reason is absurd and besides the point). In short order, the steroid Santa battles an evil real estate developer (Ed Begley, Jr.) who wants to take over the local orphanage (home to a young Mila Kunis)! 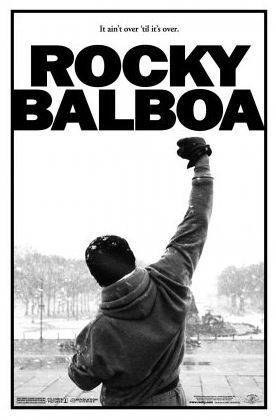 As in every Santa Claus film, the ripe, jolly old elf beats the crap out of bad guys and… oh, forget it. Yes, it’s that putrid. You may wonder why films like the cult classic, “Santa Claus Conquers the Martians ” (1964) or the 1959 Mexican weirdie, “Santa Claus ” aren’t on this list. Well, first of all, they were made on a budget comparable with the cost of filling up the tank of an H3 and secondly, they’re actually a lot of fun! 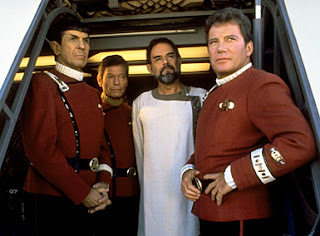 The same cannot be said of the big budget, live action version of “Dr. Seuss’ How the Grinch Stole Christmas.” Ron Howard directs a hyperactive Jim Carrey as the scourge of Whoville in a film so overblown, so loud and crass, so utterly grating and charm-deficient, so lacking in rhyme (and reason) that you have to wonder if the filmmakers ever read Seuss’ beloved 1957 book or saw Chuck Jones’ classic 1966 cartoon version . 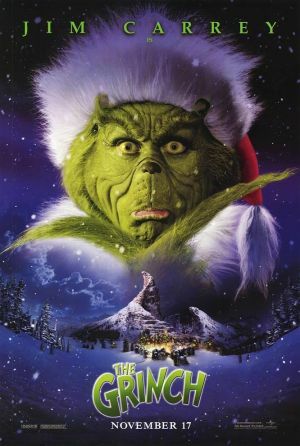 Fans of this film argue that something had to be done to stretch the story to feature length, but by giving the Grinch a complicated backstory to explain his two-sizes-too-small heart and adding a superfluous romance, the beautiful simplicity of the tale gets buried at the foot of Mount Crumpet. The extreme accompanying merchandising likewise felt like something anathema to what Seuss intended, completely going against the notion that Christmas, perhaps, doesn’t come from a store. Maybe the reason that generally acknowledged Christmas classics such as “It’s a Wonderful Life ,” “A Christmas Story ” and “Miracle on 34th Street ” achieved said status is how brightly they shine in comparison with the crass unoriginality of most holiday fare (and note that there’s nothing on this list from earlier than the 1980s). It’s as if one of Hollywood’s favorite holiday traditions is churning out crappy Christmas movies! Tim Allen, knock it off! Please!